CLEARER, LOUDER, HARDER, BETTER! The Sound BlasterX H5 radiates with comfort in every element of the design. It's made up of reinforced steel headband and aluminium architecture. Sound BlasterX H5 features an ergonomically-tested design that guarantees comfort over long stretches of gaming sessions, and withstand the rigours of gameplay. Specifically designed for our pro-gaming teams, the H5 Special Edition is distinctly branded with a BlasterX label on both side-plates. 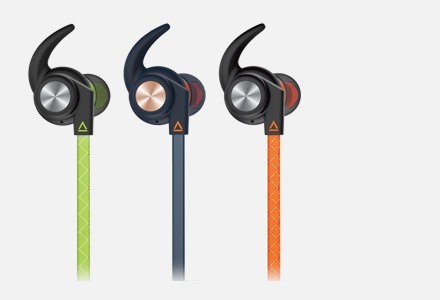 Designed with a durable steel and aluminium architecture, the Sound BlasterX H5 is light to wear, and bring around, yet tough enough to maintain its structural integrity from everyday wear and tear. The Sound BlasterX H5 is designed with a tilt driver implementation that creates a mini acoustic chamber to minimize resonance within the earcups. 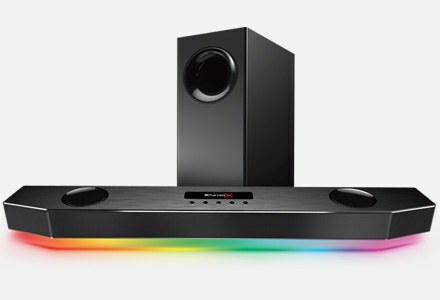 The result is that you experience extra clarity across the frequencies and better sound separation where every detail heard is crisp and clear. Experience your game the way it's meant to be heard. The Sound BlasterX H5 is equipped with large, responsive 50mm FullSpectrum drivers that deliver astounding sound. 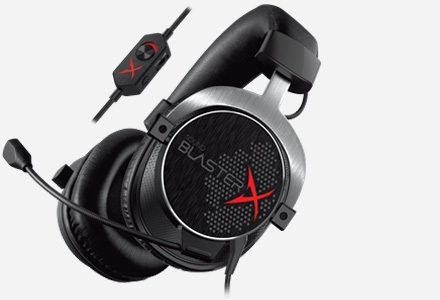 Rated at 118dB/mW, the Sound BlasterX H5 is among the loudest gaming headsets of its class. Feel the tremor of every bone-shattering explosion and hear the rattle of gunfire in your gameplay, like no other. 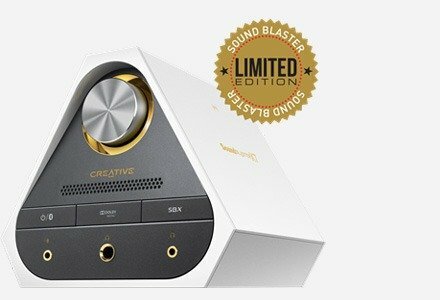 The Sound BlasterX H5 comes pre-tuned out of the box with a dynamic sound signature 3. 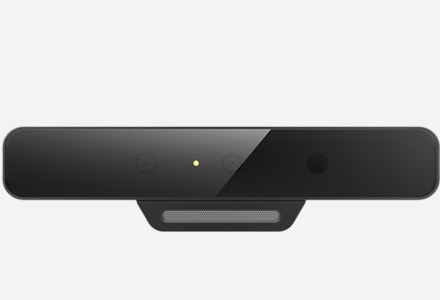 What this means is that we tuned this headset to not overemphasize on any particular frequency domain. 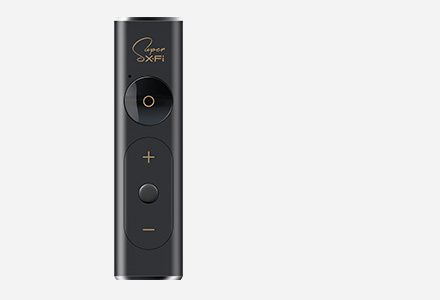 The end result is a solid and natural sound for enhanced clarity and precision for gamers. The detachable noise-reduction microphone filters ambient sounds so you can be heard clearly, even in a noisy environment. When you're not gaming, detach your microphone from the headset and you'll get a pair of compact headphones that's ready for great music on the go. Available for Windows®, Sound BlasterX Acoustic Engine Lite 1 offers preset audio profiles specially programmed according to the audio settings of popular games today. When activated, these profiles bring out the essence of the game you are playing. From the whizz of bullets flying past your ear in your favorite FPS game to the terrifying roar of a troll from an adventure game, these sounds come alive with our professionally tweaked enhancements! 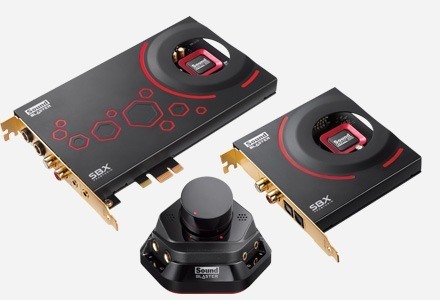 The Sound BlasterX H5 offers a wide range of connectivity options for a holistic gaming experience. The 3.5mm 4-pole jack cable can be used with any smart device such as your iPhone and iPad, as well as today's gaming consoles 2 such as PlayStation®4. There's an included 1.2m Y-splitter cable (that fits the older 3-pole plug-in implementation) where one jack is used for microphone input, and the other for audio output. 3 Further customizable with Sound BlasterX Acoustic Engine Lite Software.